The Circle in the Square Theatre is a Broadway theatre in midtown Manhattan at 235 West 50th Street in the Paramount Plaza building. It is one of two Broadway theaters that use a thrust stage that extends into the audience on three sides. The original Circle in the Square was founded by Theodore Mann, José Quintero, Jason Wingreen, Aileen Cramer and Emily Stevens in 1951 and was located at 5 Sheridan Square (a former nightclub) in Greenwich Village. The original Circle in the Square did not have a theater license, but Mann was able to get a cabaret license; the production staff and off duty actors served as waiters if anyone insisted on ordering food or drinks. Many of the theater personnel, both acting and technical, lived on the premises. Even classical performances took place here: Pianist Grete Sultan, who later became a well known interpreter of New Music and was John Cage's close friend, performed the Goldberg Variations by Johann Sebastian Bach at the theatre in January 1953. After directing several landmark productions at Circle in the Square, Jose Quintero left to work on other projects. His last production for Circle in the Square was Eugene O'Neill's Desire Under The Elms.The best known productions in the original theater were Tennessee Williams' Summer and Smoke, with Geraldine Page and Eugene O'Neill's The Iceman Cometh, with Jason Robards. In 1960 the company moved to the Circle in the Square Downtown, at 159 Bleecker Street in Greenwich Village in a historic building built in 1917 (which now houses The Market NYC, an indoor market). Their first production in the new space was Thornton Wilder's Our Town. Before it became the second Circle in the Square Theatre, the company's new home was first a movie house followed by the original Amato Opera House. It was built by and operated by Italian-Americans, which was typical of the South Village in the late 19th/early 20th centuries. Many of these theaters in the South Village were, like the second Circle in the Square, built or altered from other types of existing structures. Designed by architect Alan Sayles, the present home of the company is one of two theatres in the Paramount Plaza office tower. Its much bigger sibling is the Gershwin Theatre. The theatre entrance lobbies are side by side but separated by a wall. It is designed to reflect the theatres of ancient Greece and Rome and is the only Broadway theatre that has a vomitorium, which is sometimes used as an entrance and exit for the actors. The Gershwin and Circle in the Square were built in 1970 when the Uris Brothers tore down the Capitol Theatre to build the tower (with the Gershwin originally being called the Uris Theatre). Their first production on Broadway, a revival of Mourning Becomes Electra, opened on November 15, 1972. The theatre is below street level. It is one of only two Broadway houses with a thrust stage (the other is Lincoln Center's Vivian Beaumont Theater). The theatre operated as a non-profit, subscription supported producing house for the next 25 years, but after a series of poor critical and financial returns, the company filed for bankruptcy in 1997. The theatre reopened in 1999, now operating as an independent commercial receiving house. Profits from the operation of the theatre are used to support the Circle in the Square Theatre School, the only accredited training conservatory associated with a Broadway theatre, which offers two two-year training programs in acting and musical theatre, and is located at the theatre. ^ "Circle in the Square Theatre". Internet Broadway Database. Retrieved June 15, 2018. ^ "Circle In The Square Theatre: About". Broadway.com. Retrieved 7 April 2019. ^ "Circle in the Square Theatre – At This Theatre". Playbill.com. Retrieved June 15, 2018. Robert Edmond "Bobby" Jones was an American scenic, lighting, and costume designer. Joan Maxine Copeland is an American actress. She is the younger sister of playwright Arthur Miller. She began her career during the mid-1940s, appearing in theatre in New York City, where, shortly thereafter, she would become one of the very first members admitted to the newly formed Actors Studio. She moved into television and film during the 1950s. while still maintaining an active stage career. 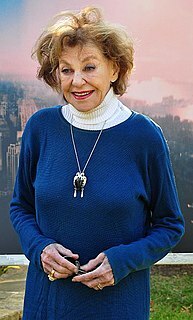 She is best known for her performances in the 1977 Broadway revival of Pal Joey and her award-winning performance in the 1981 play The American Clock. She has also played a number of prominent roles on various soap operas throughout her career, including Andrea Whiting on Search for Tomorrow and Gwendolyn Lord Abbott on One Life to Live. José Benjamín Quintero was a Panamanian theatre director, producer and pedagogue best known for his interpretations of the works of Eugene O'Neill. A Moon for the Misbegotten is a play by Eugene O'Neill. The play is a sequel to O'Neill's Long Day's Journey into Night, with the Jim Tyrone character as an older version of Jamie Tyrone. He began drafting the play late in 1941, set it aside after a few months and returned to it a year later, completing the text in 1943 – his final work, as his failing health made it physically impossible for him to write. The play premiered on Broadway in 1957 and has had four Broadway revivals, plus a West End engagement. Paramount Plaza is a 48-story skyscraper on Broadway in Midtown Manhattan, New York City that houses two Broadway theatres. Rising to 670 ft, it is the 84th tallest building in New York. 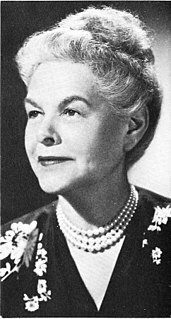 Theresa Helburn was an American playwright and theatrical producer best known for her work as a co-founder and producer of New York's Theatre Guild from 1919 to the 1950s. Two Little Girls in Blue is a musical theatre work composed by Paul Lannin and Vincent Youmans, with lyrics by Ira Gershwin and a libretto by Fred Jackson. The musical premiered at the George M. Cohan's Theatre on Broadway on May 3, 1921.